Brandy making in South Africa has a rich and colourful history, that dates back to 1672 when the first ever Cape Wine was distilled into Cape Brandy on board a Dutch ship. Production methods have evolved ever since with the ebb and flow of colonial visitors, the most famous of such being one Renier "René" Van Eibergen Santhagens. 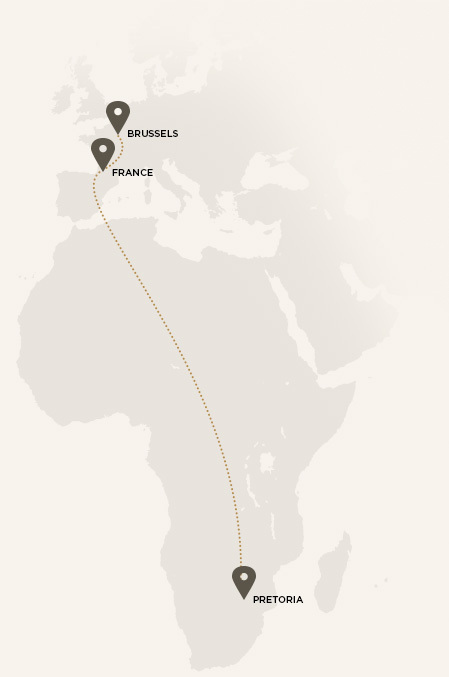 When he first arrived in South Africa, nobody anticipated that René would start a process that would change the history of brandy production altogether. René was the first man in South Africa to have produced brandy according to the old French tradition. His passion for authentic brandy and his influence on the Wine and Spirits Act of 1924, ensures that South Africa continues to be one of the most successful brandy producing countries in the world. His influence and methods are still used today, and he is widely considered the Father of South African Brandy. "René pursued studies in chemical engineering at the University of Brussels. After having completed his studies, he discovered his true passion for brandy and wine making in the famed vineyards of France. A chance meeting with a South African businessman in 1897 led René to the Eerste Fabrieken Distillery in Pretoria, South Africa, where his immense talent started to show with a marked improvement in Gin distillation. In 1899 production at Eerste Fabrieken came to a standstill with the outbreak of the Anglo-Boer War. René made the decision to return to the Cognac district of France. During his time in France, he was devoted to improving his methods of brandy distillation." After the war, Rene returned to South Africa and was lucky enough to buy his old potstills at a liquidation auction of the Eerste Fabrieken distillery. René and his wife settled in the Stellenbosch district of the Western Cape, where he was dismayed at poor quality of the traditional “Cape Dop” brandy. 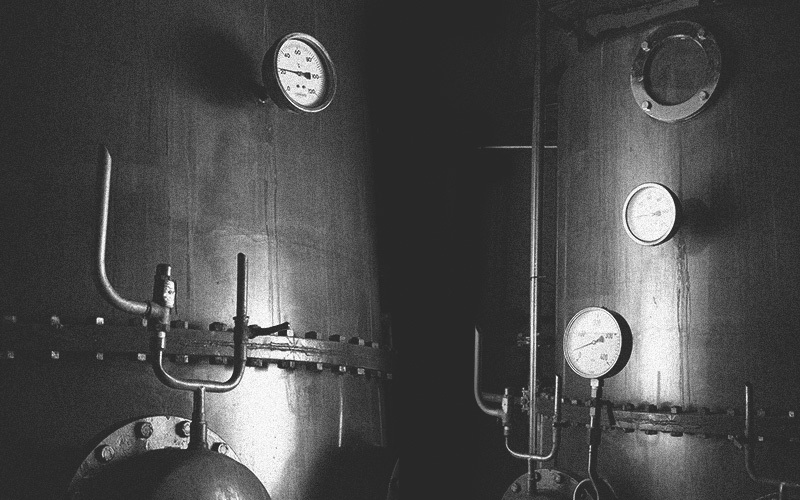 This prompted René to dedicate his life to improving the standards of real authentic brandy production. René went on to establish a co-operative at Vlottenburg - the Golden Lion Distillery. 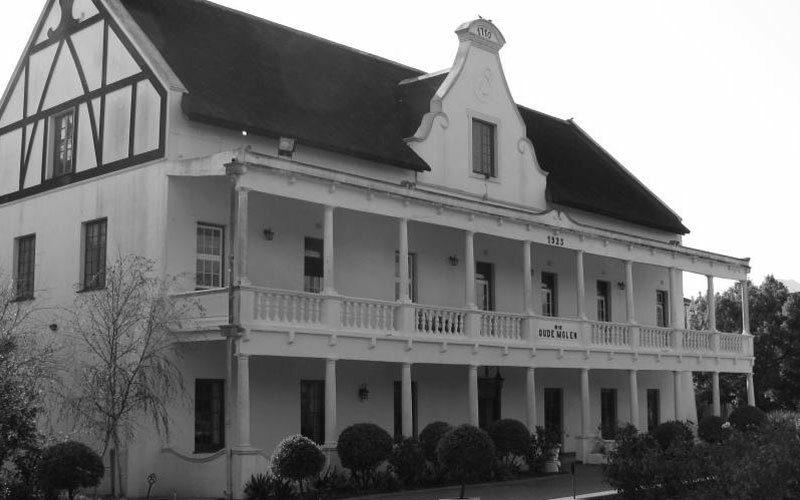 He also took up the position of manager on the Schoongezicht farm in 1908, but his ambitions were always greater; to use his unique knowledge of Cognac production to produce his own fine Cape Brandy. 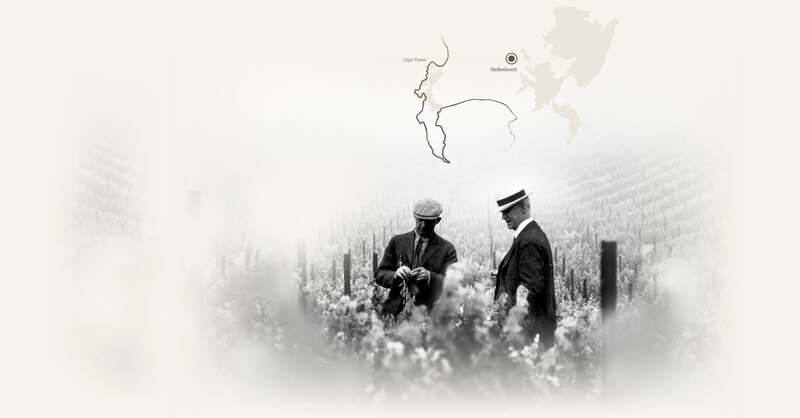 In 1909, René was able to buy the Oude Molen farm - situated under the Papegaaisberg Mountain outside Stellenbosch. He started producing his first fine brandy in 1910, and using the age old techniques of Cognac production and maturation in French Oak barrels. 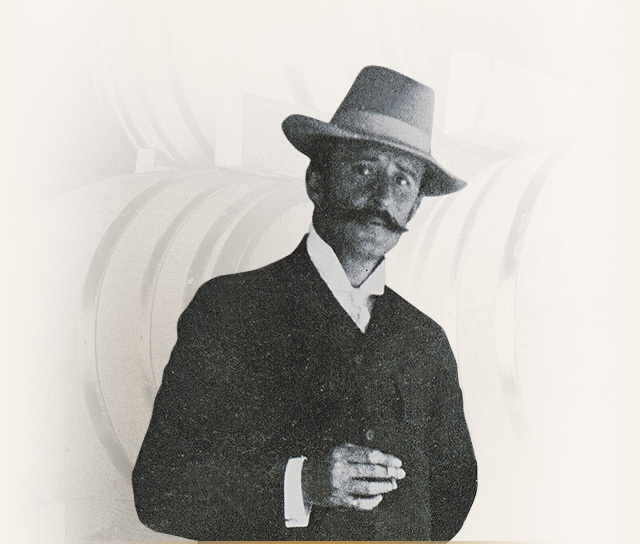 His “Santy’s Premier Brandy” brought him fame around South Africa and his Santhagen’s distillery began flourishing. In years gone by the residents of Stellenbosch held an annual pageant in honour of the town founder, Simon van der Stel. One of the activities of this pageant was a competition held for marksmen, where the target was a painted parrot. The competition was held near the site of the Oude Molen distillery situated at the foot of a nearby hill, which became known as Papagaaiberg (Parrot Mountain). 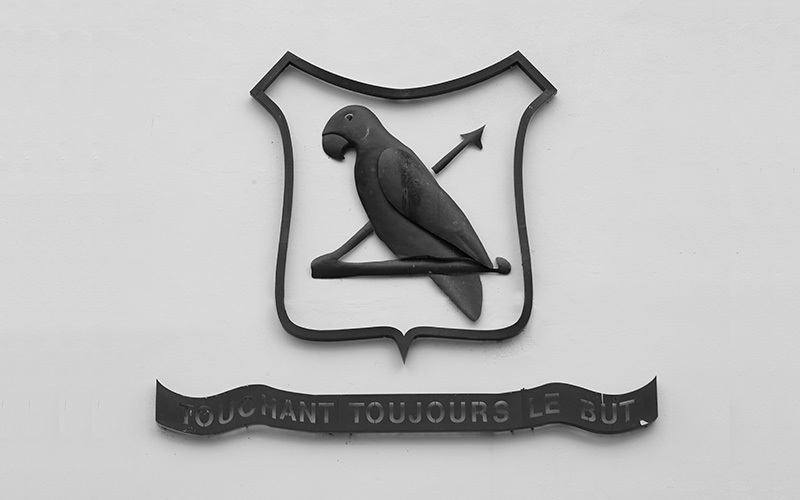 This gave rise to Oude Molen’s parrot insignia and the motto: “Touchant tojours le but” – which literally means “always hitting the mark”. The Oude Molen Distillery moved from Stellenbosch to Elgin in 2003, and although now a much bigger and more modern premises, one thing has not changed: The techniques and dedication of the brandy master in making every golden drop of Oude Molen Cape Brandy. The distillery houses two of the largest copper potstills in the Southern Hemisphere, and has rolling maturation cellars full of aged oak casks, lovingly maturing the precious brandy inside. Open to the public by appointment, the Oude Molen Distillery is a charming and enchanting site to visit, its mysticism so inviting you can almost feel the spirit of Rene following you, as you admire the legacy he built.